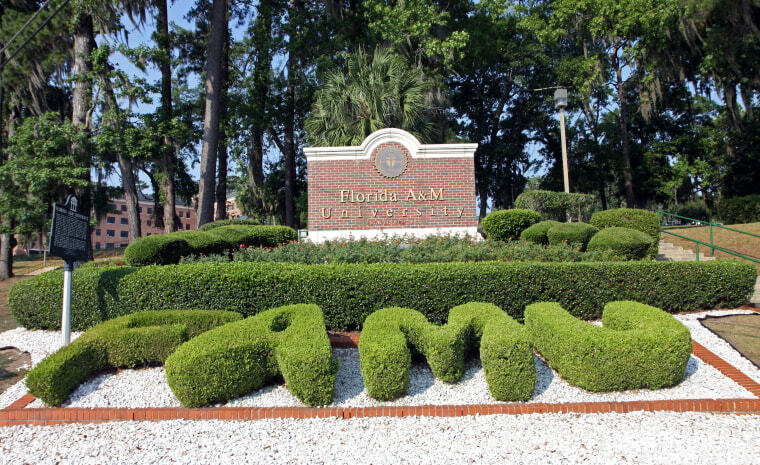 Before Spring 2006, Michael J. Morton was well known on Florida A&M University's campus. The busy Industrial Engineering major was president of the Student Senate. He was also active in Greek life serving as president of the Alpha Xi chapter of Kappa Alpha Psi Fraternity. But during that semester, Morton became known nationally for something entirely different: He, along with four of his fraternity brothers were charged with hazing. Almost a decade later, after garnering national attention and serving a two-year sentence, Morton’s life has been anything but what’s expected of an ex-convict. On the day he left prison, his conviction was overturned and consequently, he returned to FAMU and earned his Bachelor’s degree. After he encountered the dead end job searches, a former classmate reached out, which changed the course of his life again. "The problem with hazing is that at the end of the day, it is a belief. It’s not a practice. It’s like religion." Before long, Morton was a summer intern at NASA, a graduate of Rutgers University with a master’s degree and a participant of Johnson & Johnson’s Global Operations Leadership Development program. Currently, he serves as the Supply Chain leader within Johnson & Johnson’s pharmaceutical business and sits on the Industrial & Manufacturing Engineering Advisory Council at the FAMU & FSU College of Engineering. After achieving a wide array of success, Morton is ready to share his story with the masses. It’s a message on awareness, resilience and diligence. His lecture series, “A Conversation about Hazing: The Trials and Truth,” sheds a light on the consequences and magnitude of hazing and advises students to do what’s in their best interest in the long run, even if a perpetual “tradition” stands in their way. NBCBLK contributor Natalie Johnson spoke to Michael Morton before his lecture at Dillard University. BLK: When did you begin your “A Conversation about Hazing: The Trials and Truth” lecture series? Are you going to several universities with it and what’s your goal? MJM: I just started. I did my first lecture at the University of Illinois. My goal is to remind kids why they came to school. When I got caught up, I lost sight of that. I had it all. I gained everything I came to school for and I lost sight of that because a tradition- a tradition that we all know leads to things like that but we don’t think that it can happen. So, my goal is to tell students that it can and to remind them to stay focused on their future. I want to be that voice of reason to say it’s not worth it. It’s not worth the detrimental things you may have to do. Because it’ll cost you what you came to college to do, which is create your future, improve your life and get a good education. BLK: When you are participating in hazing, are you not thinking about the consequences of your behavior? Or what the repercussions would be for your school or yourself? What’s the thinking process? MJM: No one thinks it’s going to happen. When you have adults and older Greeks who you look up to —role models within the Greek community—telling you that you should [pledge], but don’t speak up against it, they’re silent. But they glorify, rightly so, all the great things the organization is doing. Young people see that and say, “If I want to be like that or in those circles, I have to go through that BS I’m seeing on campus,” which is perpetuated by a few older adults. There are a lot of social pressures that people don’t think through and you have to remember who we’re talking about here: 18 and 19 year olds. "I want to be that voice of reason to say it’s not worth it." When I decided to pledge, I was 19. And a 19-year-old, who’s looking up to someone like myself, who’s 30, says, “This dude pledged and I want to be like them. I want us to have that bond.” But you don’t think that something bad can happen. You are also thinking the people who are pledging you also went through it, so they are going to take care of you. There’s this false sense that a 21-year-old can take care of a 19-year-old, so people go along with it. Asking a 19-year-old to think through some of those pressures—when adults are doing it and its been going on forever—it’s a tall order. MJM: “Oh my gosh, again!” for sure. [Sighs] It’s disappointing honestly. In particular, with Robert Champion, I hate to see a group of young African-American men go to prison over a tradition. It’s ridiculous. And I want to be clear about this, I don’t think I, alone, am going to change the culture of hazing. It’s going to require a lot of people who feel the same way to speak up against it and to tell their stories. Those people have to be the role models in Greek letter organizations who’ve been hazed and who have hazed other people…I can do that, having been someone who went through the same thought process as, “This is kind of crazy.” But somehow rationalizes it to say, “I’m going to allow myself to do this,” and then turn around and do it other people. I hate to say that it gives me “credibility,” but I never got that message. People need to hear that and that’s why I’m doing what I’m doing. BLK: Do you really think there’s something that anyone can do to prevent hazing? It’s generational and some people say it’s a traditional. What can honestly be done to combat hazing? None of that is a full proof way of guarantee anyone’s safety. Until you change that belief, it’s not going to fix the problem. How do we start changing that belief? They need to look inwardly at their membership and have an honest and frank conversation with their members. BLK: What’s next after Dillard? You plan to take this on the road? Maybe go back to FAMU? MJM: I would love to keep telling my story. I would love to talk to FAMU and other schools. I just really want to get out and talk to more college students, if scheduling permits it. I still have a day job but this is my way of volunteering. This is my way of giving back. I want to do it in my free time, travel outside of work when I can. It’s definitely not my full time job, but it’s my way of serving the community.